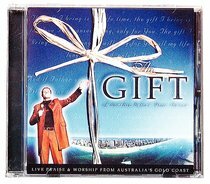 Surf City Church in Surfers Paradise has been creating quite a buzz thanks to the talents of their worship leader, Garry McDonald, whose songs are being sung around the world. Powerful music, overlayed with lyrics that will draw you into worship. For a limited time, the CD comes with a free STEAL AWAY CD. About "The Gift Plus Steal Away"